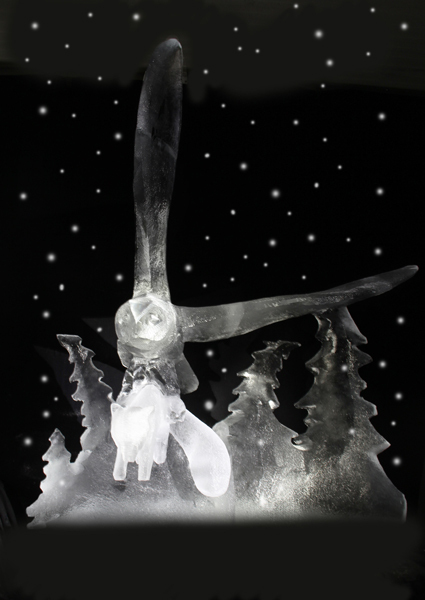 The Sandinyoureye Team will be installing 9 ice sculptures and a live carve sculpture with chainsaws and all on the 15th December around the Mirror Pool, City Park Bradford. The sculptures are from a story written by us called ‘Have you seen Santa?’ We follow the adventures of a Little White fox looking for Santa to give him an important envelope to save Christmas, on the way he encounters many animals that he has been told ‘like to eat little white foxes!’ The sculptures have been made by myself and Andy Moss in our new Sand In Your Eye Ice Studio located in Bradford that runs at a constant -12 degrees. 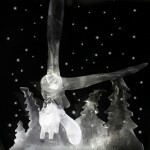 The sculptures have taken us 18 days to sculpt and have been funded by Bradford Council. Each Steward will be from Sand In Your Eye and will be pleased to answer all your questions about the story and ice sculpture. The story is a comment upon prejudice and tolerance. 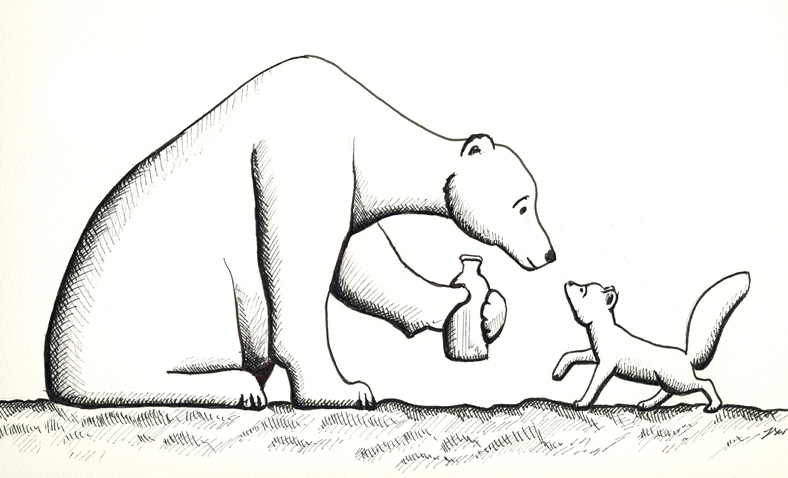 The Little White Fox is tolerant of all the animals he meets even though he has been told that they like to eat Little White Foxes, and it is because of this that there is hope he will fulfil his mission. The story was written specifically with the multicultural city of Bradford in mind where I grew up as well as my travels abroad that opened up opportunities of becoming a sand and ice sculptor through meeting very different types of people. 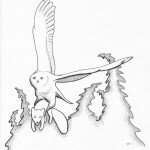 There will be free Christmas cards to collect on the day of the Snowy Owl and the Polar Bear. There will also be a competition on our facebook page where the winner will be the person that gets their photo uploaded to our page ‘liked’ the most. 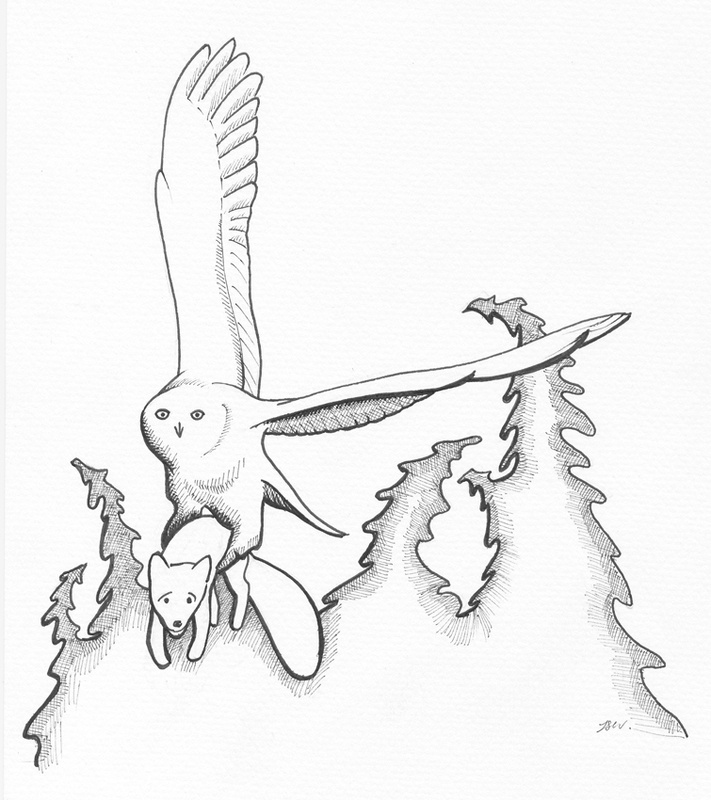 The prize will be one of the original illustrations. Green Lane Primary school have been working their socks off to bring together an interpretation of the ‘Have you seen Santa?’ story. There will be a brass band playing all our favourite festive tunes and a reading of the story by non other Mrs Claus herself. 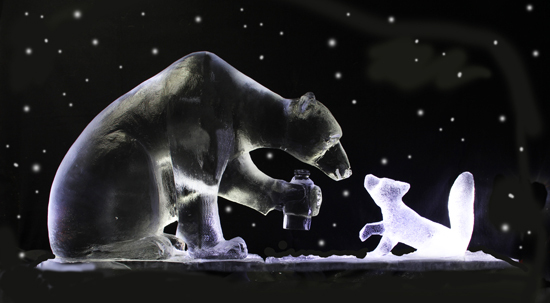 Superb set of ice sculptures woven into a charming story. Well done Jamie, Andy, Mrs Claus and the SIYE team. 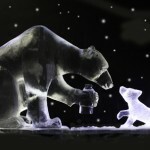 I loved these ice sculptures in Bradford and I love your films too. 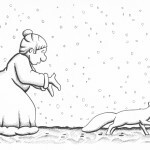 Was the white fox also inspired by The Snow Child? I’m glad you like the sculptures. 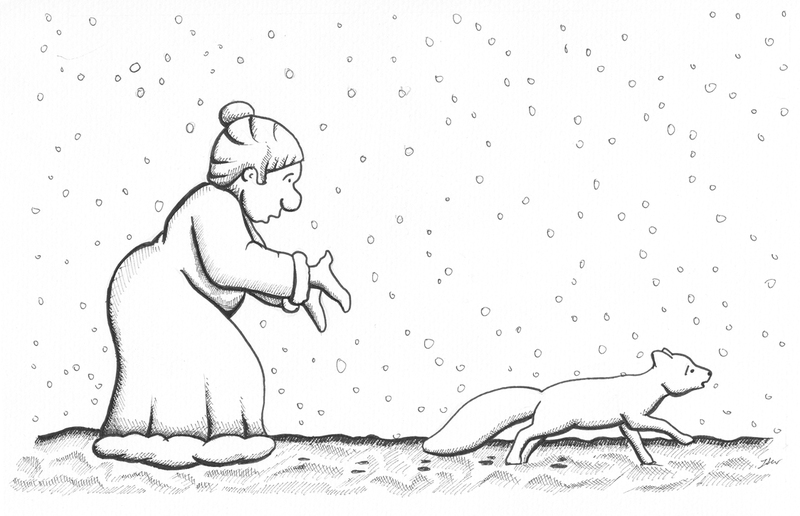 The Little White Fox Story was inspired by my home town of Bradford and my travels abroad. On his journey the Little White Fox encounters many animals that represent the different cultures in my own city and those that I have met on my travels. 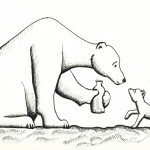 The animals have misunderstandings about each other as they all warn the Fox that the other animals ‘like to eat little white foxes.’ However, he perseveres on his journey and shows tolerance and understanding and doesn’t let his fear rule him, he finds that all the animals actually want to help him and are kind to him. And that is why he succeeds in his journey.